Coconut chips snack easy to use as food with many flavor: palm sugar, chilli, ginger, green tea, honey, salt and other. Coconut chip is ready to eat as snack food, with yogurt, fruit cocktail, ice-cream topping. 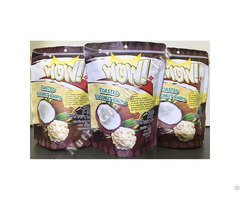 Business Description: DINH PHU MY COCONUT CO.,LTD - VIETCOCONUT - was established 2004. The company process mainly all coconut products from the famous land of coconut in Vietnam. Our coconut processing plant is located in Giao Long Industrial Zone BenTre provice where the main and best growing land of coconut in Vietnam. With this location, we commite to produce fresh coconut for perfect qualtity. The fresh and good coconut will be sellected for production which is carried out by the whole line of modern and automatic drying machines. With these machines, we can meet any cut and shapes of products required by each market. 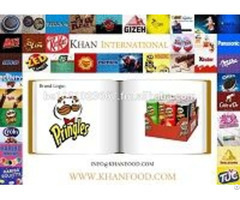 Further more, the professonal work applied strictly under GMP and HACCP standards help maintain highest satisfaction to our products no matter what markets they are in any port of the world. If you are interested in our products, please free contact us via email sale1dpm@gmail.com any time. We look forward to hearing from you and hope to establish the long term relationship with your company in the near future.